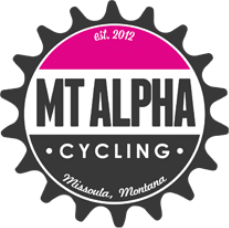 This year will be our 7th MT Alpha Skills Clinic and registration opens on April 15 at 8 AM! This year is our seventh annual skills clinic! And we are excited to host our clinic again at Marshall Mountain this year. MTB Missoula has done outstanding trailbuilding over the last few years, and we are confident that there are trail options for all levels and ages. Each year about 100 riders - ladies and junior boys and girls - enjoy a fun day of skills work and trail riding. Each group is composed of 2 instructors and 8 riders who stick together throughout the day. Different this year, women will NOT select a specific skill level but complete a very detailed survey upon registering. This will be used to group people of the same technical level and goals. We want women to get as much as possible out of the day. At the clinic, technical work ranges from bike comfort and braking to downhill riding and cornering. The afternoon features a group ride to keep working on skills and put that new knowledge to use! Clinic entry is $50 for women and $35 for juniors. Registration will open on April 15. - Marshall Mountain has minimal cellular reception so plan accordingly. Texts and calls can be made from certain areas of the mountain. Any comments/concerns/suggestions for the clinic?